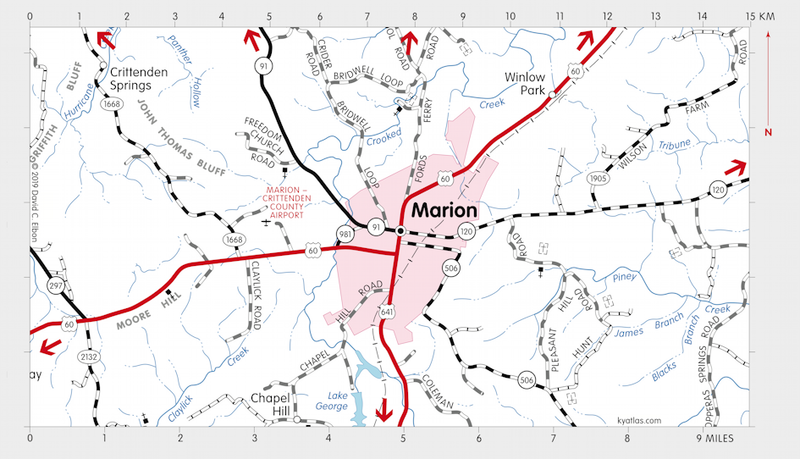 Marion, the seat of Crittenden county, is located on US 60 and US 641. It was established as the seat of the new county in 1842 and named for General Francis Marion. Marion was incorporated in 1844. A post office opened in 1843 several miles southeast as Oxford (for the Oxford Academy) and moved to Marion in 1846. The population in 2010 was 3,039. 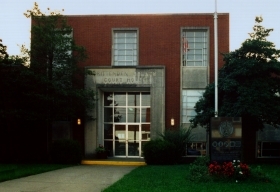 The Crittenden County Courthouse in Marion, the fourth one the site, was built in 1961.